From September 21. to September 25. 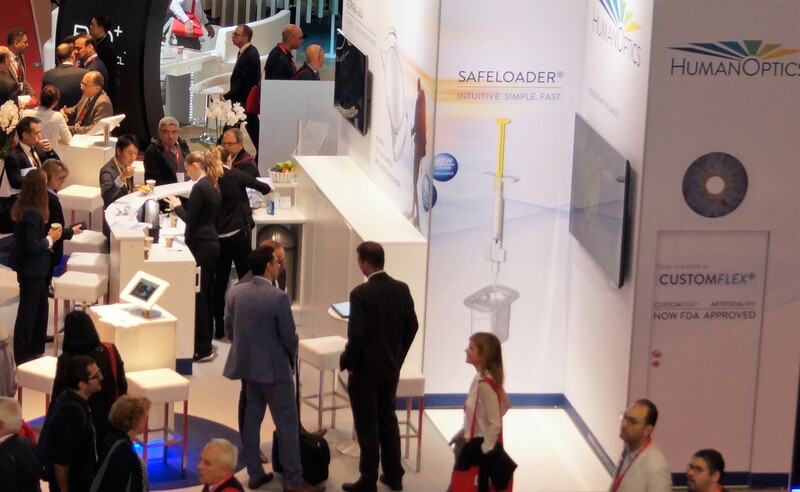 2018 the 36. congress of the European Society of Cataract and Refractive Surgeons took place in Vienna. 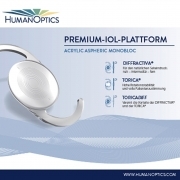 HumanOptics AG successfully launched the new intraocular lens ASPIRA-aXA for the European market. 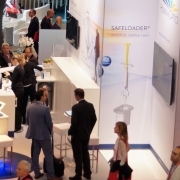 With ist 7.0 mm XL optic, the ASPIRA-aXA aroused great interest. The preloaded ASPIRA-aXA provides a convenient implantation of an IOL with XL optic by maintenance of the routine in the OR. 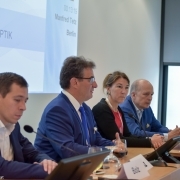 For patients with increased risk of ocular diseases the ASPIRA-aXA lays the foundations for a long-term pseudophakic reliability. The posterior chamber lens with its XL optic is also an ideal treatment option for patients with large pupils. 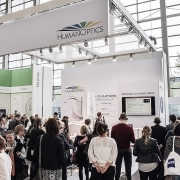 One of HumanOptics‘ highlights was the forum Meet the Expert. Prof. Matthias Bolz (Kepler Universitätsklinikum Linz, Austria) presented results with the ASPIRA-aXA, showed areas of application and informed about relevant factors for a successful implantation. Another popular topic was the CUSTOMFLEX® ARTIFICIALIRIS. The iris prothesis has received FDA approval recently and is at present the only product of this kind that is approved for the highly attractive U.S. market and addresses this currently unmet medical need in that market. 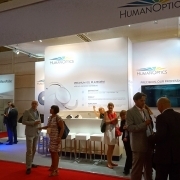 The bright, welcoming booth was used for conversations and consultations about the product portfolio of HumanOptics efficiently.